Located in the charming village of Alvor is the modern 4-star all-inclusive hotel, the Alvor Baia Resort Hotel. The hotel is situated in an ideal location, just under a mile from the tow centre and a five-minute drive away from the nearest beach. With unbeatable service, excellent leisure facilities and a perfect location, you are set to have an unforgettable stay at the Alvor Baia Resort Hotel. 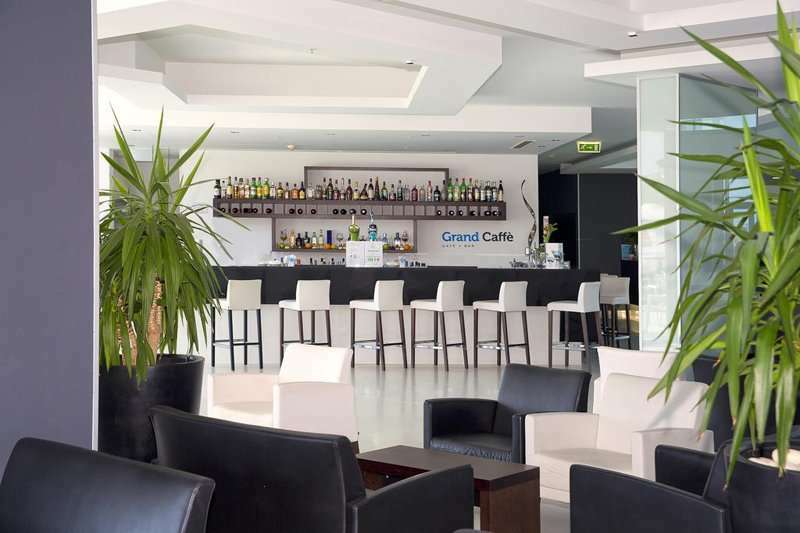 The centre of Alvor is situated just 1.5 kilometres from the resort, however conveniently for all those that wish to visit, the hotel runs a complimentary shuttle service. Alvor exudes charm with narrow cobbled streets, a harbour and its own river. Despite exuding an idyllic ambience during the day, by night time, music bars open up to provide lively entertainment. For a true taste of Spanish cuisine, Alvor is allegedly said to be home to some of the best restaurants in the western province of the Algarve. Golfers choose Alvor as their golf holiday destination year after year due to its fantastic golf courses and excellent climate. 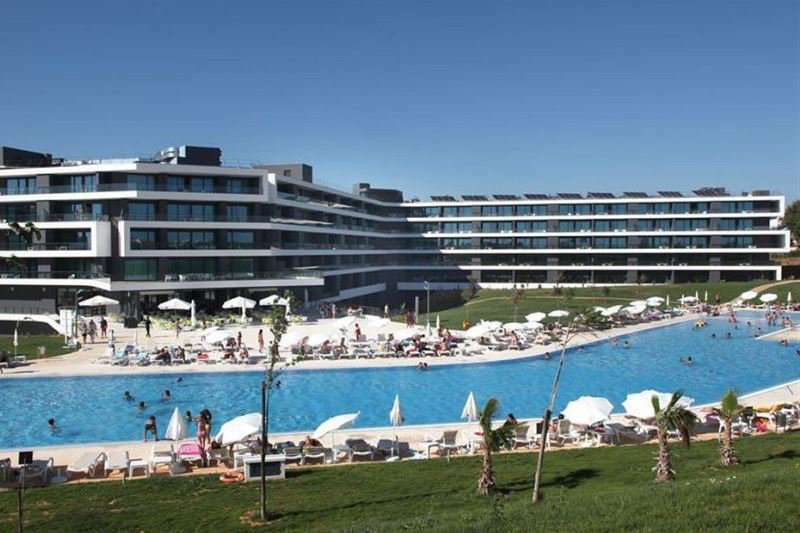 There is an abundance of golf courses in close proximity to the Alvor Baia Resort Hotel, including the two courses at Penina and Alto which are both less than two miles away. Each of the modern air-conditioned suites at the Alvor Baia Resort Hotel come with all the home comforts to ensure you have a luxurious stay. All rooms feature a balcony, complimentary Wi-Fi, flat screen TVs and a living room with a dining area. 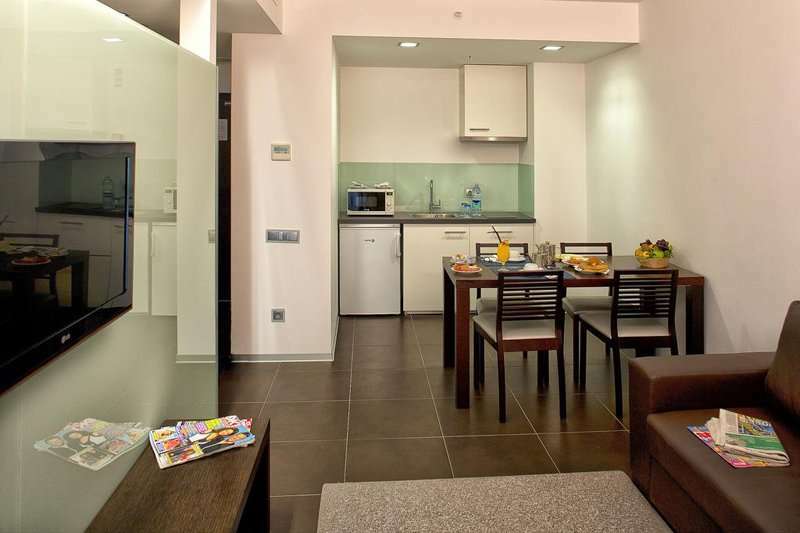 One-bedroom apartments can accommodate for up to two adults and two children. The hotel offers a pleasant garden setting, swimming pool and complimentary shuttle to the beach for its guests. 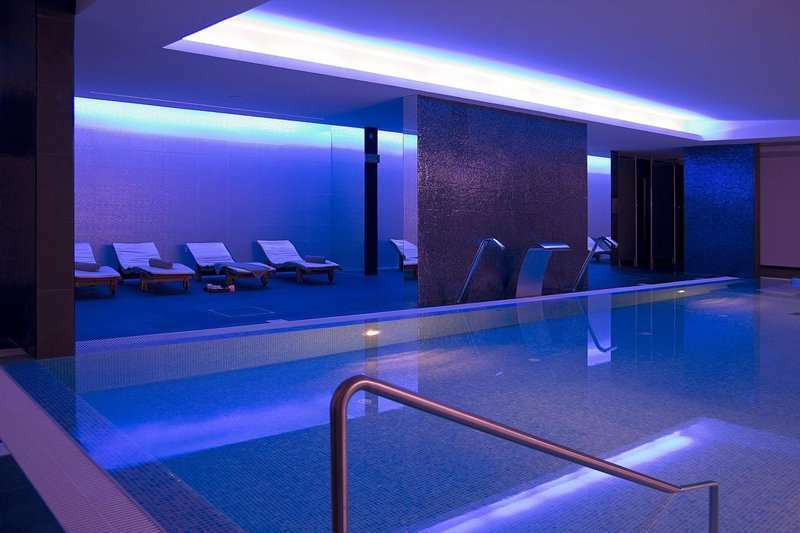 The spa area is a great place to unwind after playing some of Europe’s best courses, and features a Turkish bath, sauna and a hydrotherapy pool (additional cost applies). The resort is set in 69,000m2 of lush greenery, a tropical retreat from the hustle of everyday life, whilst there are plenty of sport and leisure spaces onsite including table tennis and volleyball. The hotel also has an entire support service such as restaurants, bars and a multiuse room catering for its all-inclusive guests. Guests have the choice of two buffets, both serving Mediterranean specialities, as well as two bars for a well-deserved aperitif. 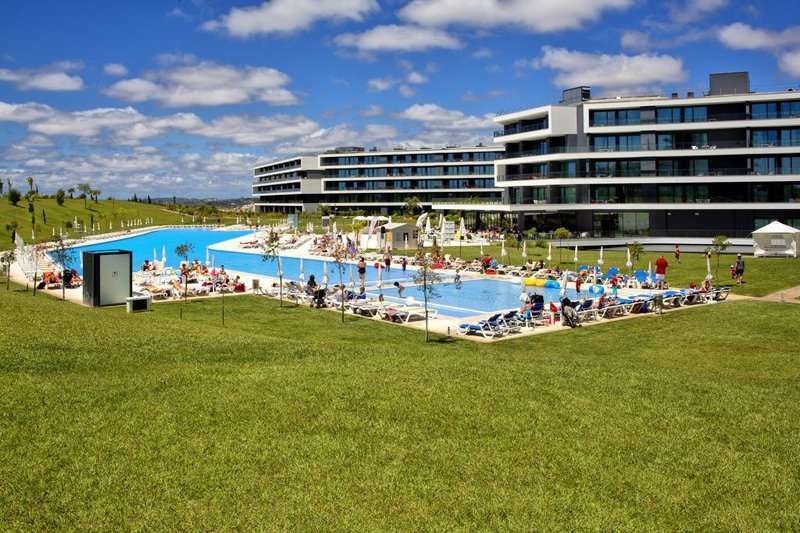 For a resort that has it all in the Algarve, the Alvor Baia Resort Hotel is an unbeatable option and a great base for your next Algarve golf escape.